If you’ve been searching for a way to create a great career helping others succeed, then you’re in the right place. Now, all you need are the best tools and resources available to set things into motion and create a fulfilling life of financial freedom and personal satisfaction. 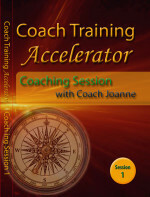 The Coach Training Accelerator™ program is a proven path to success – built for coaches by successful practicing coaches. Take the guesswork out of the equation. The Coach Training Accelerator™ is organized for efficiency and effectiveness so you’re taking the right courses from the beginning, graduate on time, and have the tools to begin your coaching career and start making the money you deserve. Join a trusted, reputable coaching community that provides proven techniques, guidance, and tools to launch your successful coaching practice. Thousands of coaches have found their path with this best selling self study program. Blending authenticity, a commitment to success, discipline, integrity, communication and business savvy, the Coach Training Accelerator™ is the most comprehensive compendium of training material in the field of coaching today. There is no more inspiring community than that grown over the last decade at CTA. Coaches whose own path to success is being fueled everyday by the exploration, growth, and inspiration of their students and clients. It’s human development at its very best. If you’ve been searching for a way to shape your career helping others, Coach Training Alliance has the best tools and resources to set success in motion. The Coach Training Accelerator™ Program is a proven path to success- built for coaches by successful practicing coaches. Our flexible, comprehensive program can be easily tailored to your specific needs – both now, and as you develop over the course of your coaching career. A Self-paced, self-study program allows you to establish a solid, sustainable coaching practice. Apply the Coach Training Accelerator™ to the CTA Certified Coach Program. Enroll in the CTA Certified Coach Program, a separate 22-week comprehensive live training program, and use the Accelerator in tandem with group mentoring, real-time coaching practice, critique and feedback. Develop a solid coaching practice while you learn and refine advanced coaching skills for proven success with your clients in just 20 lessons, guaranteed. Connect to thousands of practicing coaches and build a trusted community founded on the values of the Coach Training Accelerator™ which have guided success for individuals from all walks of life. Begin earning an income from coaching while you train. You could spend years and thousands of dollars getting trained before you earned a dime. With the Coach Training Accelerator™ you build skills as you build the foundation of your business. Your seminars are a clear, concise, enlightening, and motivating blend of science and humanity. This is not a course about information; it’s a course that transforms the way you think and lead. I learned a new and different way to have conversations with people. [Co-Creative Leadership] has shaped many conversations and meetings in a positive manner. Asked for a conservative estimate of the monetary payoff from the coaching they got, managers described an average return of more than $100,000, or about six times what the coaching had cost their companies. This new skill will not only empower me to help my organization achieve its vision and mission, but also make me a better leader and mentor as I can now better assist my staff or peers further their own personal growth as well as professional. 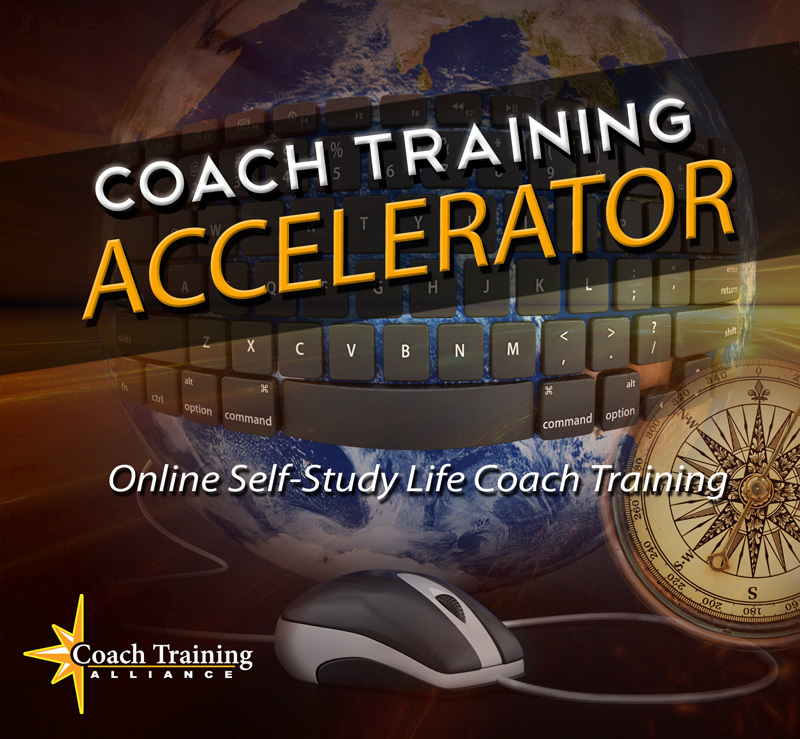 The Coach Training Accelerator is a 20-lesson comprehensive program with real-world coaching sessions that provide step-by-step instruction. Self-study, self-paced courses formatted to complement the CTA Certified Coach Program. Mentor Coach Joanne Susi guides her client through business and personal issues toward taking consistent action to manifest his dream. The session begins with a clarification of the agenda, keeping the client on track with bottom-line questions, and how to help stay in the moment by providing feedback and showing appreciation of energy and accomplishments. The client is able to develop well-defined action steps to move himself forward while confirming his commitment to the challenges. Mentor Coach Dave Meyer works with a long time client who has concerns about the feedback he has been given on his performance review. Through listening on multiple levels, and asking probing questions, Coach Dave helps to shift the client from concerns about his performance, to a more thorough understanding of his bosses needs and requirements. This session is a good example of how a coach can help a client clarify their own thoughts and develop actions that will allow the client to move forward with action, rather than focus on the past. Mentor Coach Rhonda Hess mentors her client on implementing effective strategies and establishing a solid business. She mentors her client on persistently attracting her targeted clients to her coaching business. Attention is given to the distinction between following up professionally rather than chasing prospective clients, while also having patience for the process of creating visibility and credibility over time. This session demonstrates the techniques of guiding the client in staying committed to their goal. Mentor Coach Laurie Cameron works with her client on developing the perfect niche and helps her drill down to the appropriate level. This client had been struggling for quite a while with a few different target markets that she was passionate about, and had a hard time narrowing down to one. In this session, her creativity emerges and she crafts a unique niche that she is extremely excited about. Witness this breakthrough, and the resulting clarity that provides a clear path for her marketing plan. Coach Drayton Boylston engages role playing and the client’s recent learning experience to invite a positive shift in the workplace. His client is able to springboard from a revelation that makes him realize he should not give up on members of his staff. He becomes more inclusive of all employees, and overcomes a current culture of “learned helplessness.” With a focus on outcomes Coach Drayton assists his client in negotiating the crucial conversations necessary to address the underlying issues that have led to low morale and decreased productivity. Personal, one on one contact with Certified Coach and Admissions Advisor, Lisa Pisano, will provide you with unique, individual support as you find your coaching niche and grow your practice. She has helped thousands of coaches reach success and can help you, too! Ask questions, get support, learn new tips firsthand free of charge – for an entire year. The best part about a self-study course is the options you have for learning. You can choose to move at your own pace along to the section what interests you most. Or you can follow the steps outlined for you in each module and work through them in order. Create the foundation for your practice. Learn how using your innermost, authentic self as the key to the success of your coaching practice. Listen and learn how to get in touch with your passion, vision and authentic self. Put the pieces in place to significantly enhance your financial future. This module is the springboard that prepares you to serve others from a place of comfort and confidence. Discovering your innate abilities to be successful at coaching. Learn to polish and enhance your skills and to take your coaching to the next level. Become a client magnet without the pressure and cold-calling. Be amazed at the steady stream of new business coming your way on a regular basis by just being yourself. Distinguish yourself as a respected professional coach. These coaching nuances and subtleties unlock your potential to make a truly meaningful impact on the lives of others. Once you master this material, you have every right to include yourself at the highest level of coaches in the profession. On-going Teleclasses, practice management software free trial, client assessment demos, recommended ezines, eBooks and products on the topics of Coaching & Mentoring, Marketing & eCommerce, and Writing & Publishing. You will have access to supporting documents including outlines, examples, models, worksheets, templates, and printable forms. Related articles from various professional coaches and mentors providing additional insights and varying viewpoints. We want to provide you with all the tools you will need to build and fill a successful coaching practice. 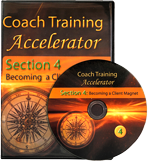 So, if you invest in the Coach Training Accelerator™ we want you to get all of the guidance, support and training you need to become a successful coach and change the lives of your clients. Begin your training now. As soon as you place your order you will receive an immediate digital download of the Jump Start Digital Accelerator absolutely FREE. Receive hundreds of additional supporting documents, related articles, and advanced work that help build your practice quickly and confidently. You have immediate access to online resources including exclusive admittance to the Accelerator’s Client Tools proprietary website. This advanced marketing and promotion program shows you the way to market yourself without intruding on others. Learn how to begin acquiring new clients right away. A kinder, gentler system for increasing your credibility and perceived value that costs very little or costs nothing at all. A step-by-step trademarked system for developing an effective marketing plan custom-designed to fit your style. A detailed, yet flexible, plan for confidently marketing yourself in total integrity with quality, class, and finesse. Napoleon Hill’s timeless classic now updated and revised specifically for coaches by Will Craig. New features include the thirteen Laws of the Universe. Discover the famous formula and universal truths that spawned an entire personal growth industry. For some readers, the book helps them get their lives on track. For others, the insights are life-changing. Still others become disciples for the principles laid out between the covers of this e-book. You will gain important knowledge from the experience of more than 500 persons of great wealth, who began from scratch, with nothing to give in return for riches except thoughts, ideas and organized plans. Desire – The starting point of all achievement and how the Law of Intention sets your course. The unusual medium for influencing the subconscious mind and how to work the Law of Expectation in your favor. The art of decision making and mastery over procrastination through the Law of Action. The crystallization of desire into action and the ultimate power and unseen forces behind the Law of Attraction. Imagination – The workshop of the mind and the critical thinking that flows from the Law of Creativity. How your brain works as the broadcasting and receiving station for thought and the amazing Law of Attitude. The ultimate driving force toward riches and how to put the Power of the Mastermind to work for you. [Andrew Carnegie] had taken into his business one young man after another, many of them with but little schooling, and by coaching them in the use of this formula, developed in them rare leadership. Moreover, his coaching made fortunes for everyone of them who followed his instructions. The Coach Training Accelerator™ stand apart in its well-rounded approach coach training. You learn core coaching principles and how to put them into real-world practice. You also learn the business development skills you need to grow your coaching business, and the marketing tips and skills to attract new clients. No fluff, no filler, just facts, figures, and examples. The program lessons are clear and to the point, helping you create a rewarding practice, step-by-step. Learn all skill sets essential for a professional coaching practice to be strong, balanced, and secure in your success as a coach, in the order you need them. Most importantly, the in-depth, advanced content is very clearly organized and interlinked to ensure you have access to the right information just when you need it. The minute you start the Coach Training Accelerator™ Program, you embark on a lifelong journey of self-transformation. 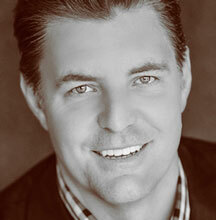 Build a solid business foundation for your practice and grow quickly with quality clients. Acquire the skills you need to help your clients get powerful results right away. But the real reward is what happens next. For when you’re a coach, you are part of an important and rapidly emerging profession. You’re able to help others reach their goals in an effective, long-lasting way – and get paid for it! GET STARTED TODAY AND CHANGE THE COURSE OF YOUR FUTURE. When you purchase the Coach Training Accelerator™ you are making a change that will have a ripple effect on all the lives you touch. I understand the Coach Training Accelerator™ system comes with a full, six-month money-back guarantee and I can receive a 100% refund anytime if I am not completely satisfied by simply returning the program. Less shipping and handling fees. 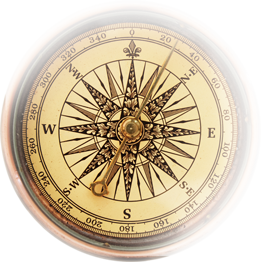 Follow a tested path with a comprehensive program that zeroes in on the trigger points and gets you coaching successfully, faster. Test drive the Coach Training Accelerator™ completely risk free for a full six months. If our complete program doesn’t prepare you for real world coaching better, faster, and for less money than any other coach training program — anywhere — we’ll pay you your money back! We’ll process your order via an online secure form and you will be able to login and get started right now! If this comprehensive program isn’t everything we say it is (and more), just return the course and we will promptly issue you a full refund for the entire cost of the product. And there’s no pressure. You have the next six months to decide. Why do we give you a full 6 months? Our guarantee is intentionally designed to enable you to complete the training and implement the step-by-step system. There is a tremendous need for well-trained coaches and we want you to make a great living helping others succeed. The entire Coach Training Accelerator™ Development Team is confident you’ll receive so much more value than the small price of the program, we ALL stand behind this commitment!